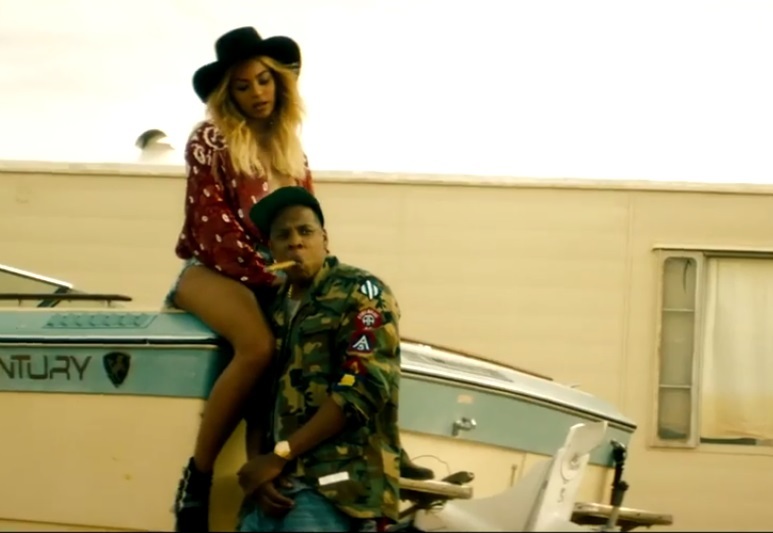 After last week’s epic saga that was Cartergate 2014, Beyonce and Jay-Z sure picked the perfect time to kill us with this star-studded trailer for “Run.” When I tell you I shed a tear looking at Bey’s perfectly painted face behind that gun, ugh… I mean, I felt some kind of way. She might have taken two steps back in that elevator, but she was seriously busting some caps in that car. Also featuring Don Cheadle, Guillermo Diaz (Huck from Scandal,) Rashida Jones, Blake Lively and Jake Gyllenhaal, the trailer comes a little more than a month before the first show in their summer stadium tour that is set to kick off June 25 in Miami, Fl. But before you go searching for movie tickets and a release date, hold your horses. While everything about this trailer says this would sell out a movie theater before you could type “Bey” in a Google search box, you should know that it’s “Coming… Never.” I would have paid good money to see Jay relive his State Property days. See the blockbuster tease below. Give it to us straight: Slay or Nay?